Tomlinson’s lead-free products are the solution to high lead levels in the drinking water of schools and other facilities. 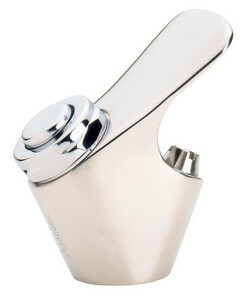 Tomlinson’s Pro-Flo™ water dispensing products feature a fully lead-free brass or stainless steel construction. These products retrofit most drinking water equipment and include bubblers, projector heads, self-contained cartridges, fountain glass fillers and point-of-use faucets. 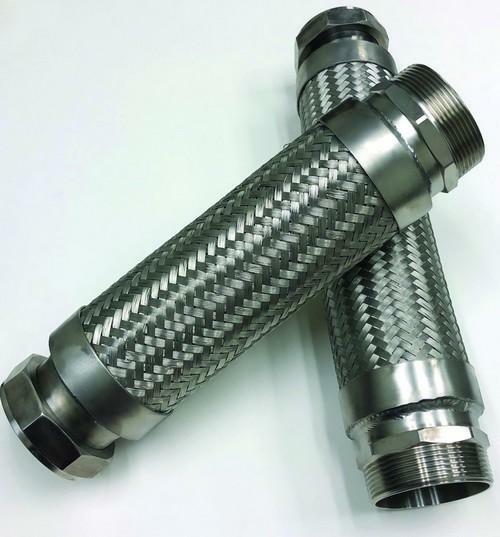 No longer a custom item, the 3-inch CSS with over-braid from Falcon Stainless is well-suited for applications that include pumps, vibration, isolation and large-scale softening systems. It is also available in 1 inch and 1¼ inch. Working pressure is 300 psi; maximum pressure is 500 psi. Falcon Stainless, Inc. offers a five-year warranty. 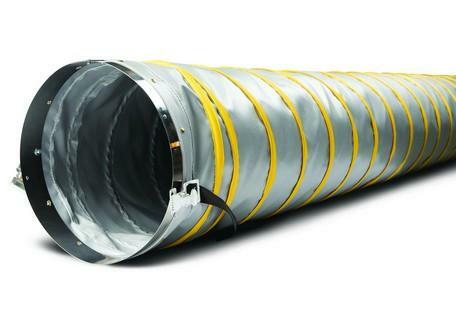 portable heat ducting gear. The result is a more consistent, reliable and energy-efficient fit. The Patterson-Kelley NURO touchscreen control system has received intellectual and design patents. The NURO‘s smart technology not only applies to its control with remote monitoring capabilities, but also to its swivel-hinge technology. During maintenance, it rotates 180 degrees so technicians can view the control’s screen while servicing the boiler. In addition, Patterson-Kelley now offers NURO Conversion Kits. 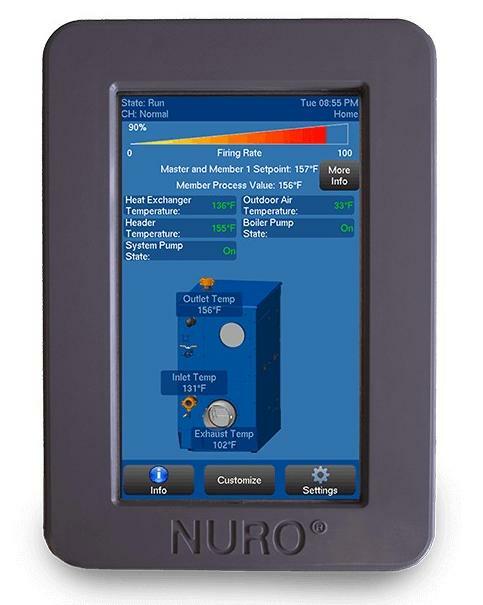 The kits allow individuals to upgrade P-K MACH boilers in the field to take advantage of the NURO‘s feature-rich platform. The industry-exclusive PLUMBVENT, from Caleffi, is a space-saving, low-lead automatic air vent designed and manufactured specifically to vent air from water at high points in plumbing and domestic hot water system piping. 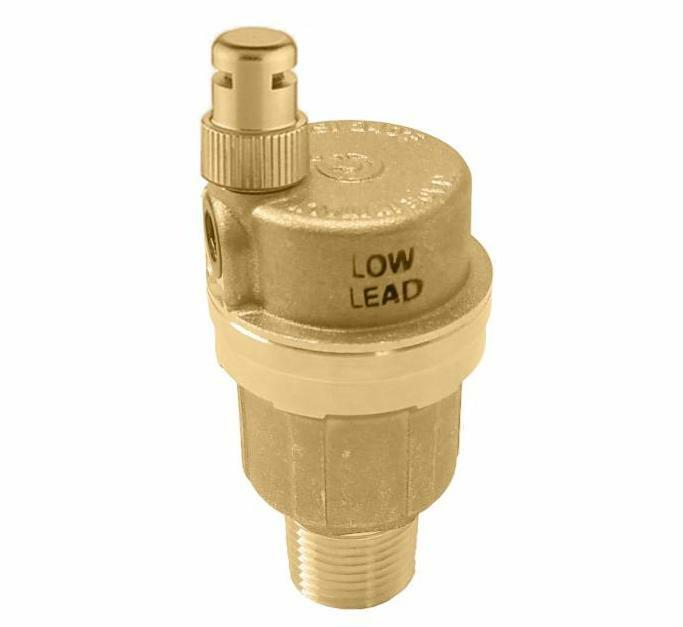 The vent is made of DZR Ecobrass, an excellent alloy for plumbing applications. 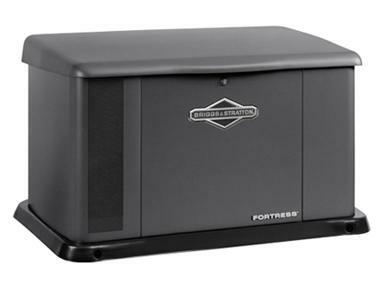 It complies with NSF/ANSI 372, Drinking Water System Components – Lead Content Reduction of Lead in Drinking Water Act, California Health and Safety Code 116875 S.3874 (AB1953) and Vermont S152. 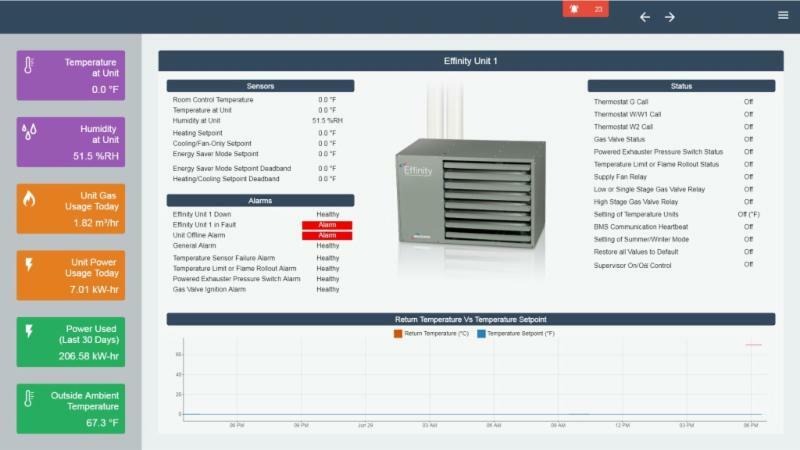 The Modine BMS monitoring system offers building owners control over their heating units at the tip of their fingers through the customer’s BMS interface. By using a room sensor, customers can have functions of a BMS thermostat with the added benefit of equipment alarms and statuses that would not be available using a conventional BMS thermostat method. The board has the capability of controlling three outputs (blower, stage 1 valve, stage 2 valve) and uses the temperature at the unit heater to perform an energy-saving function.